I love swimming. As an older person, swimming laps can be a nice relaxing workout. But growing up swimming was all about spending time with friends and doing fun stuff around the lake or pool. People all around the world want to have a swim buddy or two. If you are looking for a group, here are some swimming groups, clubs, and affiliations around the world. So the first group I’m going to tell you about call themselves the oldest existing swimming club in the world. 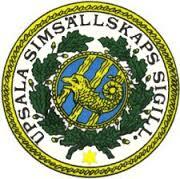 It is the Upsala Simsallskap and it was founded in 1796 in Sweden. One of the coolest things to come from this club was the invention of the full and half gainer (two of the coolest dives ever). Swimming is a year round sport. And if cold temperatures don’t bother you, then maybe you should try to join the Coney Island Polar Bear Club. Founded in 1903 by “The Father of Physical Culture” Bernarr MacFadden, it is the oldest winter bathing club in the world. The great thing about this club is that they plunge into the freezing waters of the Atlantic for charity. They earn money for causes like the Special Olympics. So, if you’re brave and a little crazy, this Polar Bear Club is for you. 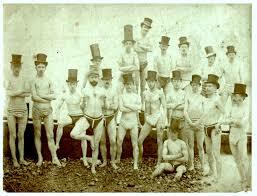 Because anything British is cool, the last group I will mention is the Brighton Swimming Club. Founded in 1860, it is one of the oldest swimming clubs in England. They promote swimming in the ocean year round and have members that swim in the ocean everyday. They also promote other water sports, such as: diving, water polo, and synchronized swimming. So, if you want a group with variety and a love of all water sports, then give this group a try! Swimming is always fun and a great way to stay in shape. But like all workouts, it’s way more fun with friends. If you can’t find a swim club close to you then get your friends together and start one of your own. And make sure to tell them all about the Underwater Waterproof iPod Shuffle. Then, you can all get together and swim to music! If you have any thoughts on swim clubs please leave a comment below. Go have a great swim!